Do you have water damage in your Dallas-Fort Worth home or business? We can assist! Disaster Restoration LLC water removal professionals are properly trained, certified & insured to offer your residence or professional property with the highest level of water removal, cleanup and restoration services. If you have a basement flood in your house or professional office, our drying teams can get your residence dried out quickly! We use state of the art air movers and dehumidifiers to ensure your area is completely dry, leaving no chance of mold growth. After a fire, flood or plumbing failure, swift action to remove water and restore water damaged areas can mean saving tens of thousands of dollars in loss of electrical equipment, structural components, paper records and furnishings. Our crew will respond rapidly and help you get back on-track quickly. An IICRC certified water removal expert will dispatch an emergency water damage team to your house or company within 60-minutes, and you can talk to a certified water removal expert regardless of what time of the day you call, or what day you call. 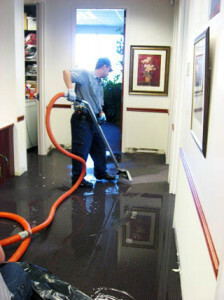 Every effective Emergency Water Damage Restoration starts with flood water removal. We use powerful truck-mounted equipment which is able to extract hundreds and even thousands of gallons of water in the fastest time possible. After the completion of successful water removal, we’ll start to clean up the damage that was caused by the water. The water damage mitigation method will change depending on the class of water damage your residential or commercial property has had. Disaster Restoration utilizes industrial dehumidifiers, high-powered air movers and moisture detection viewers to ensure swift and efficient drying of the residence or business. Restoration is the final step. As it pertains to restoring your property back to pre-damage state, we use the IICRC S500 standards. Fortunately in many flood situations in the Dallas metro area your homeowner’s insurance will cover the cost of having specialist water removal damage services including complete restoration. And yes, we bill your insurance provider directly! 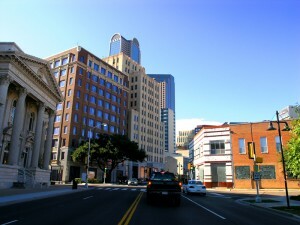 So if you are in the Dallas-Fort Worth area and need water removal you can depend on, call us now. Disaster Restoration, LLC is available 24/7!